Scuba diving in Australia is certainly a big thing. Anyone that loves underwater wildlife will certainly be in their element. You will have access to not only 1,500 different types of fish, but also 400 different types of coral. The exploration on offer when scuba diving in Australia is never ending, and it would take a lifetime to scratch the surface of what scuba diving in Australia is all about. When is the best time to go scuba diving in Australia? Although scuba diving in Australia can be done year round, there are certain times of the year that are going to be much better than others. The winter in Australia is at the same time as the summer in the Northern Hemisphere, which means diving seasons tend to be slightly different. Of course, considering the actual location is essential too, as Australia covers a vast area, and the climate varies dramatically. That being said, the best time to dive for maximum visibility is certainly going to be July through to November, although those looking for Minke Whales, might prefer to visit in June and July. The Ribbon Reefs – Known for being one of the most-spectacular dive sites in Australia, these reefs are found around 75km of the Queensland shore and to get there, you will need to join a liveaboard expedition. 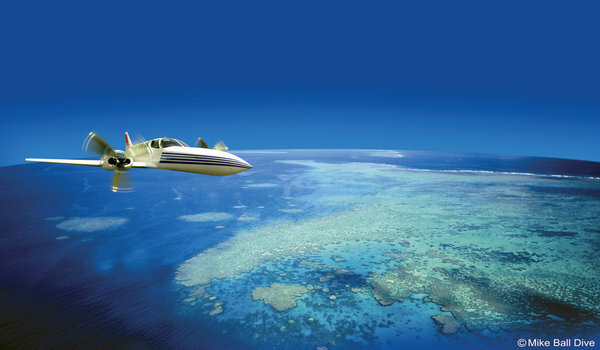 Osprey Reef – Situated in the Coral Sea at one of the most-northerly points, this is another coral reef that is best-accessed using a liveaboard, offering both great visibility and an immense range of marine life the Osprey Reef should not be missed. 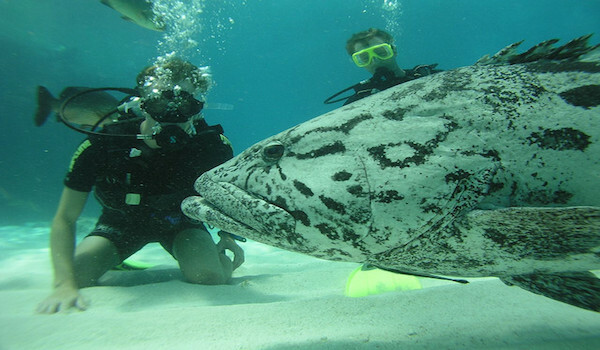 The Cod Hole – Among the one of the most-popular scuba dive sites in Australia, it is certainly a fan favorite thanks to the huge Potato Cod that congregate here; a definite photo opportunity for anyone that gets a chance to visit. People from all over the world come scuba diving in Australia to see the huge amount of diversity when it comes to marine life. When you visit Australia on a scuba diving trip expect to see whale sharks, Minke Whales, bottlenose dolphins, marlin and all kinds of sharks. Of course, different parts of the year will produce different species of marine life, so it is worth deciding what the aim of the trip is and develop a plan based on that. Australia is certainly not a small country. In fact, it covers an area which is twice the size of Europe, which means planning is essential, as journeys from one place to another can be days in length. The major airports that are worth mentioning here are Sydney, Perth, Darwin, Melbourne, Brisbane and Cairns. Once scuba divers have landed in Australia, they have a few options. Many people use tour operators, who will organise the whole trip. That being said, longer stay liveaboard trips are organized which allow people to visit some of the unique places that Australia has to offer such as the Cod Hole, Osprey Reef and the Ribbon Reefs. Travelling by car for local trips is ideal, although a lot of people plan their trips in stages and use local air transport to get from one place to another, to maximise their actual time spent diving in Australia.